Every parent knows that babies have a way of getting what they want. The signs are easy to spot: diapers and laundry pile up, schedules change, arm muscles tire, free time disappears, logic flies out the window, and sleep becomes a luxury. But even more amazing is just how happy a baby makes a parent feel, despite it all. "Way of the Baby" is a unique and insightful view into strategies and techniques babies use to gain mastery over their parents. 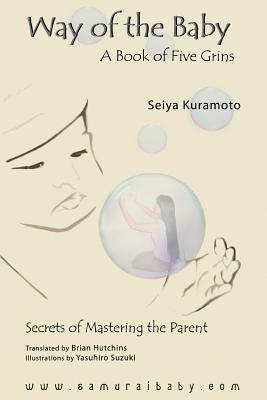 Written by Seiya Kuramoto, a legendary samurai baby from seventeenth century Japan, and translated by Brian Hutchins, "Way of the Baby" has been a valuable training guide for babies following the Way of Growth. From winning with but a single grin to screaming from the void, the secrets of this ancient text are now revealed for the first time in English. Insightful, amusing, and filled with interesting observations and captivating images, "Way of the Baby" is bound to bring smiles and a touch of poetic appreciation to those who have done battle with their own noisy and demanding little bundles of joy.